All people like to save, that's why numerous banners with large red numbers of discount percents draw users' attention and raise initial interest. 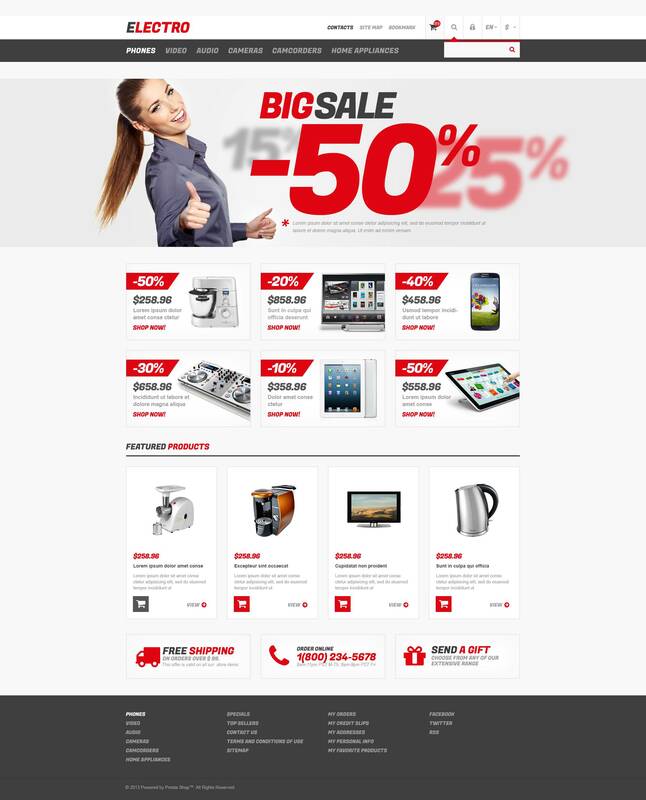 Featured products have hover effect, two functional buttons and brief descriptions. All essential information is colored red, so the text stands out against the fair background. Footer widgets facilitate customers' navigation.